Botanical Name:Rosmarinus officinalis Rosemary Tunisia Essential Oil is credited as having stimulating and warming actions and can be used in numerous skin care products. It is used in hair care to stimulate hair growth and improves most scalp problems, particularly dandruff and seborrhea. It nourishes the scalp and keeps hair looking healthy and shiny. Rosemary Oil is said to have antiseptic and antimicrobial properties and is also used to balance intense emotions and control mood swings. It lifts the spirits, counters depression and assist in managing stress. Blends well with: Basil, Bergamot, Cedarwood, Frankincense, Ginger, Lemon, Orange and Peppermint. 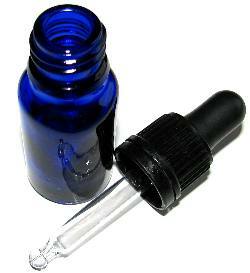 Cautions: Rosemary Tunisia Essential Oil is generally non-toxic and non-sensitizing. It is not suitable for people with epilepsy or high blood pressure. Avoid in pregnancy since it is an emmenagogue. Botanical Name:Rosmarinus officinalis Rosemary Tunisia Essential Oil is credited as having stimulating and warming actions and can be used in numerous skin care products. It is used in hair care to stimulate hair growth and improves most scalp problems, particularly dandruff and seborrhea. It nourishes the scalp and keeps hair looking healthy and shiny. Rosemary Oil is said to have antiseptic and antimicrobial properties and is also used to balance intense emotions and control mood swings. It lifts the spirits, counters depression and assist in managing stress. Cautions: Rosemary Tunisia Essential Oil is generally non-toxic and non-sensitizing. It is not suitable for people with epilepsy or high blood pressure. Avoid in pregnancy since it is an emmenagogue.